The Lichfield Garrick theatre in Staffordshire will be transported back in time to 17th century Italy when the work of the great Venetian composer, Antonio Vivaldi, will be celebrated in style. 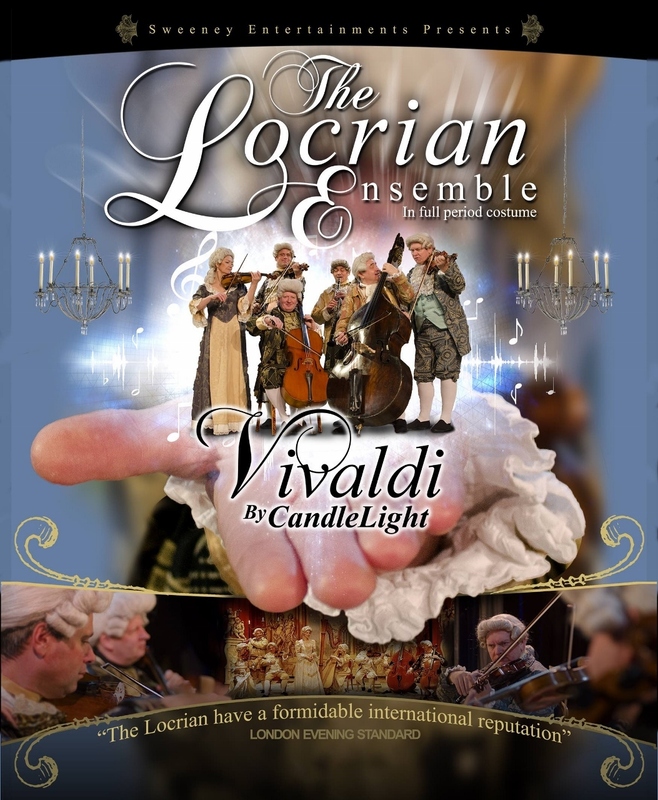 The Locrian Ensemble, described as Britain's best-loved classical touring ensemble, will present their musical tribute to Vivaldi on the Garrick theatre stage on Friday 17th November while dressed in the lavish period costume of the day. And to make the evening even more enchanting the classical concert will be performed by candlelight. The accomplished musicians that make up the Locrian Ensemble will be performing Vivaldi's much-loved Four Seasons, a composition which depicts 17th-century Italian rural life in a wonderfully inventive manner. Other works include the virtuoso Concerto For Two Violins, The Rustic Symphony, and classics such as Pachelbel's Canon and Handel's Arrival of the Queen of Sheba, all of which will enable the audience to step back in time. The Locrian Ensemble was formed in 1995, bringing together some of the most prominent string soloists in London. They immediately established an enviable international reputation for recordings, broadcasts and live performance, and is now one of the busiest and most sought-after of all British musical groups. The Locrian Ensemble have become very popular with concertgoers throughout the country for their series of "Candlelight Concerts". 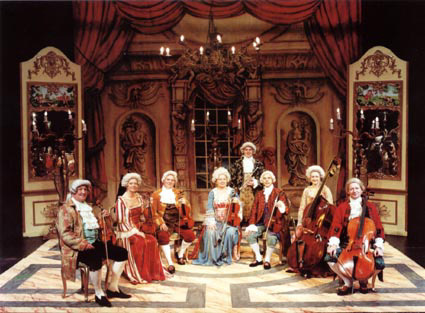 The costumed theme concerts, such as the Vivaldi performance at the Lichfield Garrick on November 17, carry titles such as Mozart by Candlelight, Handel by Candlelight, Christmas by Candlelight, and Strauss By Candlelight. The musicians that make-up the ensemble are all very successful musicians in their own right. Artistic director and cellist Justin Pearson has been Principal Cellist of the National Symphony Orchestra, Guest Principal cello of the Royal Philharmonic Orchestra and the English Sinfonia Orchestras. He has also been Andrew Lloyd Webber's principal cellist for recordings and shows for some 20 years, and has played on albums with artists ranging from as Jose Carreras, Pavarotti and James Galway to Madonna, Tina Turner, Take That and U2. He has also appeared live in concert with Oasis. In addition, lead violinist Rolf Wilson has led the orchestra of the Royal Opera House, Convent Garden, and the Wren Orchestra of London, and has featured in films such as "Captain Corelli's Mandolin", "Billy Eliott", The Full Monty and "The English Patient". All the members of the Locrian also played on the soundtracks of "Harry Potter", "Gladiator", and "Hannibal". Vivaldi by Candlelight will be performed at the Lichfield Garrick on Friday 17th November at 7.30pm. Tickets costing £22.50 can be obtained by visiting www.lichfieldgarrick.com or by calling the box office on 01543 412121.